Frank S. Alexander is Sam Nunn Professor of Law at Emory University School of Law and Founding Director of the Center for the Study of Law and Religion. He is co-founder and senior advisor of the Center for Community Progress (www.communityprogress.net), an organization that helps US communities integrate vacant, abandoned, and blighted properties back into their economic and civic life. 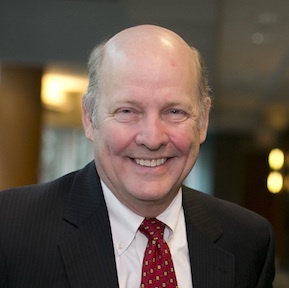 He has served as interim dean of the Law School (2005–2006) and as visiting fellow at the Joint Center for Housing Studies, Harvard University (2007). His courses include Property, Real Estate Finance, State and Local Government Law, Law and Theology, and Federal Housing Policies. The author of more than fifty publications in the fields of real estate finance, law and theology, and community development, some of his recent publications include Create Affordable Housing for All (Spring, 2013); Georgia Real Estate Finance and Foreclosure Law 2013–2014 (9th ed. 2013); Land Banks, Andrew G. Carswell, ed. ; The Encyclopedia of Housing 2nd edition (2012); Land Banks and Land Banking (2011); Neighborhood Stabilization Strategies for Vacant and Abandoned Properties (2011); Land Banking As Metropolitan Policy (2008); Louisiana Land Reform in the Storms’ Aftermath (2008); Christianity and Human Rights: An Introduction (Cambridge Univ. Press 2010) (with John Witte Jr.); and Christianity and Law: An Introduction (2008, with John Witte Jr.). Recipient of the Emory University Thomas Jefferson Award (2006), the Crystal Apple Award for Excellence in Professional School Teaching (2005), the Student Bar Association Award for Most Outstanding Professor (2014, 2010, 2004), the Laura Jones Hardman Crystal Apple Award for Excellence in Teaching and Service (2001), the Ben F. Johnson Faculty Excellence Award (1998), and the Emory Williams Award for Distinguished Teaching in Professional Education (1991). Professor Alexander has been selected eight times as the Professor Who Best Exemplifies the Ideals of the Legal Profession by the Emory Student Bar Association. 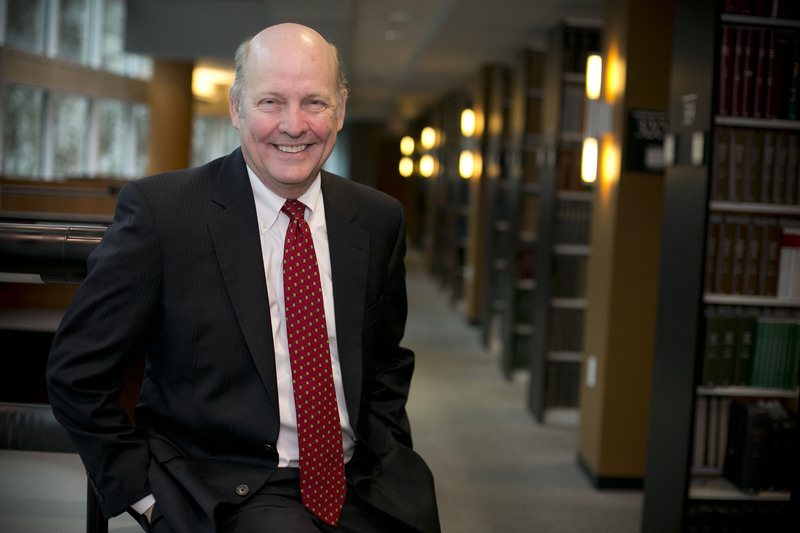 Founder of Emory University's Law and Religion Program in 1982, Professor Alexander's work in recent years has focused on community development and affordable housing. From 1993 to 1996, he served as a fellow of the Carter Center of Emory University, specializing in neighborhood redevelopment activities and low-income housing in conjunction with The Atlanta Project. He served as a commissioner of the State Housing Trust Fund for the Homeless from 1994–1998. In May 2008 he testified before Congressional subcommittees on the Housing and Economic Recovery Act of 2008, and in November 2009 on strategies to address the mortgage foreclosure crisis. Professor Alexander is past chairman of Consumer Credit Counseling Service of Greater Atlanta, a non-profit community service agency providing consumer credit counseling, and of Community Friendship Inc., a non-profit psycho-social rehabilitation program for the chronically mentally ill. He is the recipient of The George A. Pindar Award, Real Property Law Section, State Bar of Georgia (2006), the Inspiration Award for Outstanding Leadership in the Public Interest, Emory Public Interest Committee (EPIC) (2002), the Outstanding Service Award of the Atlanta Legal Aid Society (1996), the Georgia Affordable Housing Award for Individual Initiatives (1995), and the Citizen’s Award for Outstanding Service from the Fulton County/City of Atlanta Land Bank Authority (1995). Georgia Real Estate Finance & Foreclosure Law, 2013-2014 Edition (Thomson-West, 2013). Georgia Land Bank Resource Manual (Center for Community Progress, 2013) (with Sara J. Toering). Land Banks and Land Banking (Center for Community Progress, 2011). Christianity and Law: An Introduction, (Cambridge University Press, 2008), with John Witte, Jr.
"Neighborhood Stabilization Strategies for Vacant and Abandoned Properties," 34 Zoning and Planning Law Report (September 2011) (with Leslie A. Powell). "Neighborhood Stabilization & Land Banking," Communities & Banking, 20:3 (Federal Reserve Bank of Boston, Summer 2009). "Louisiana Land Reform in the Storms’ Aftermath," 53 Loyola Law Review 727 (2008); published in preliminary form by the Joint Center for Housing Studies, Harvard University, Working Papers W07-9 (December, 2007). "Don’t Bet the House," 17 Partners in Community and Economic Development, Federal Reserve Bank of Atlanta (2007). "The Housing of America’s Families: Control, Exclusion and Privilege," 54 Emory Law Journal 1231-1270 (2005). "Land Bank Strategies for Renewing Urban Land," 14 Journal of Affordable Housing and Community Development Law 140-169 (2005). "Tactical Options for Stable Properties," in Revitalizing American Cities, Susan M. Wachter and Kimberly A. Zeuli, eds. (University of Pennsylvania Press, 2013). "Land Use Planning by Design and by Disaster," in Law and Recovery from Disaster: Hurricane Katrina, ed. Robin Malloy (Ashgate Publishing, 2009). "The Structure of Law in Public Health Systems and Practice," in Law in Public Health Practice, 2nd edition, ed. Richard A. Goodman, et al. Oxford University Press, 2007) (with Richard A. Goodman, Paula L. Kocher, and Daniel O’Brien). "Housing Trust Funds for Metropolitan Atlanta," in Making the Case for Mixed Income and Mixed Use Communities (Atlanta Neighborhood Development Partnership, Inc., 2004). "Life Together: How Housing Laws Define America’s Families" (Emory University Distinguished Faculty Lecture, 2005).